WHY BOOK COOLSCULPTING® WITH US? Our office has been providing CoolSculpting® treatments since 2013. We have dedicated ourselves to receive advanced training for optimal patient results and safety. Additionally, our office uses the latest CoolSculpting® technology so that a typical session is just 35 minutes! (Instead of a full hour). CoolSculpting® is an FDA-cleared, non-surgical fat reduction treatment that freezes stubborn fat and naturally eliminates it from your body. CoolSculpting® technology safely delivers precisely controlled cooling to target the subcutaneous fat cells underneath the skin. Through the process of cryolipolysis the treated fat cells are crystallized (frozen) and then die. Overtime, your body naturally processes the fat and eliminates these dead cells, sculpting the area treated. The results are proven, noticeable, and they last, so you’ll look great from every angle. Coolsculpting® works based on cyrolipolysis, a procedure in which an area of fat is frozen and your fat cells are broken down. How? Your fat cells are frozen in the applicator for 35 minutes and they began to break down and die. Your body produces macrophages that consume the fat cells and transport it to your liver where it’s processed as waste. This process last for 3-4 months, your cells continue to break down and you start to see that area sculpt into a smaller density. 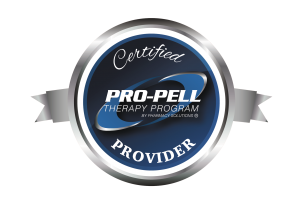 This technology has been approved by the FDA and has produced significant results to patients! It’s called stubborn fat for a reason: no matter how o you eat often healthy and exercise, it’s virtually impossible to lose those annoying muffin tops, love handles, and belly pooch. You’re left with two options, either live with them or consider surgery. The truth is, neither option is necessary. That’s exactly why we developed CoolSculpting®. Only CoolSculpting® targets fat cells alone, eliminating them in an easy, non-intrusive fashion that exercise and diet can’t achieve as quickly or as effectively. Procedures that use laser, sonic waves and even surgery to remove fat can actually destroy other tissue in the process by burning, shattering or extracting non-fat cells. This requires downtime for your body to heal. Fortunately, CoolSculpting® doesn’t burn, shatter or extract any cells. Developed by Harvard scientists, our unique, FDA-cleared, patented procedure uses a targeted cooling process that kills the fat cells underneath the skin, literally freezing them to the point of elimination. Only fat cells are frozen. Your healthy skin cells remain, well, healthy. No knives. No suction hoses. No needles. No scars. Once crystallized, the fat cells die and are naturally eliminated from your body. In a few months, say hello to a new you. Unlike a lot of other procedures, CoolSculpting® takes very little time and is pretty simple to fit into your daily life. After your CoolSculpting® treatment you can typically get right back to your busy day. Each treatment lasts as little as 35 minutes — the same time you might spend at the gym. So you can easily fit your appointment into a lunch break. After one visit, you’ll typically see a noticeable reduction of fat. It takes a few months to fully realize the effects, mainly because it takes that long for your body to naturally dispose of the fat cells. And yes, you can lose even more with additional appointments if you and your doctor deem it necessary. So after a few months, your clothes will fit better and you will look better. What’s more, there are no pills or supplements. And as long as you maintain your normal diet and exercise, your long-term results should remain stable. CONVENIENTLY LOCATED OFF OF HIGHWAY 121 IN COLLEYVILLE! We are minutes outside of Southlake, Grapevine, Bedford, and Euless. CoolSculpting treatments can be completed in as little as 35 minutes and we are able to treat more than one area at a time, helping you contour your body faster and get back to your day in no time!